It seems to have become a tradition for the yearly WWE game to feature a spectacular return or debut that is a major selling point for that year’s game; last year it was Sting’s first ever appearance in a WWE game, a few year’s earlier it was Brock Lesnar’s first WWE appearance in many years, this year 2K is once again going big with a major headline superstar but for the first time it will be one from outside the wrestling world. WWE Hall of Famer Arnold Schwarzenegger’s Terminator will be a playable character in WWE 2K16 and his costumes from both Terminator 1 and 2 will be featured. This is quite a crossover and will probably bring outside appeal from gamers that normally aren’t into wrestling games. It seems like Schwarzenegger being features as part of Triple H’s entrance at WrestleMania was a huge crossover in itself, but this will be even bigger given the fact it will allow players to live out a fantasy scenario where the Terminator does battle with WWE Superstars. 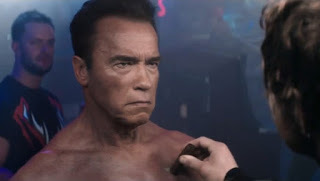 2K made this announcement in a huge way by releasing a re-creation of one of a famous Terminator scenes, except Schwarzenegger is confronting WWE Superstars like Daniel Bryan, Paige, Finn Balor, and Dean Ambrose. This video really is awesome and is the perfect hype for the game.